LG Optimus L70 D321 Kdz firmware latest version Android 4.4.2 for LG flash Tool KDZ downloader or any other professional LG flashing tool like octopus LG Tool.LG flash tool is the official flash tool of LG Smart Mobiles phone that flash tool is support of TOT and KDZ type of flash file of LG smart phones if your phone did not work properly or hanging on logo and you want to flash that phone at home then you need to download official TOT format firmware of your LG smart phone and LG Flash Tool and also USB drivers of your phone you will find USB drivers of your model on google and install on your PC and put your phone into download by holding vol keys which model you have it can be vol up or down and connect USB cable and change com port form device manager which port your mobile have to change it by right click on that port >properties>port setting>advanced setting for com port >com port number at there change it to port 41 then your flash tool will start flash your LG smart phone. 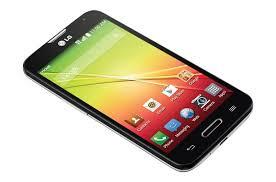 Before updating your LG Optimus L70 D321 at home with LG Flash Tool 2014 you must have to install LG USB Drivers on your PC for downloading USB drivers click on the Link and install on your PC then follow the next para. LG USB drivers must be installed on your PC. LG Flash Toll must install on your PC. How To Flash LG Optimus L70 D321 KDZ file with LG flash tool 2014? Download firmware for it,s official firmware mirror. Open LG flash Tool 2014. Connect your LG Optimus L70 D321 with USB Cable PC. Change port form device manager to port setting port 41. When port 41 will select then downloading will start and it will tack 5 to 10 minutes.